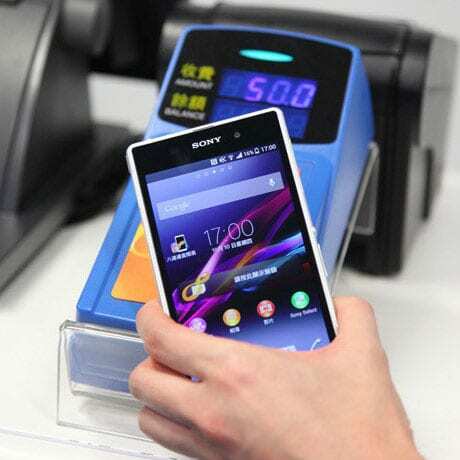 Hong Kong contactless transportation ticketing and stored value payments provider Octopus is conducting a mobile payments pilot in conjunction with mobile network operator PCCW-HKT, using Octopus Mobile SIMs — NFC-enabled SIM cards compatible with Sony FeliCa contactless card technology. Customers taking part in the pilot will be able to use an NFC phone to access the same services as those offered by conventional Octopus cards and products, by installing a FeliCa-based Octopus applet on a new Upteq NFC SIM card, supplied by Gemalto, and then inserting the SIM into their NFC phone. The pilot marks the first time a FeliCa applet has been available commercially on an NFC SIM. Those taking part will be able to pay for journeys on all of Hong Kong’s public transportation systems, including the metro, rail, bus, ferry, coach and tram, as well as pay for fares on minibuses and taxis that accept Octopus. They will also be able to make payments at retail stores, food and beverages outlets as well as purchase entrance tickets at selected entertainment venues. Drivers will also able to pay for their parking using their NFC phones. Customers will be able to top up their Octopus Mobile SIM account at any Octopus reader in Hong Kong. The service will also be “always on”, allowing customers to make transactions without opening an app and to track their balance and access their transaction history on their phone. 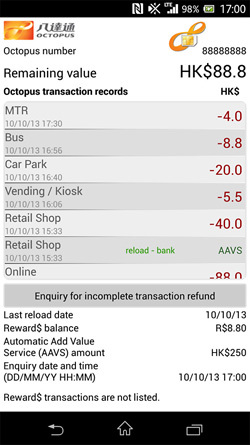 A new OctoCheck widget will enable users to view their balance by just clicking the icon on their phone’s homescreen. An initial 5,000 Octopus Mobile SIMs are being made available for the pilot. Customers who purchase a Sony Xperia V, Z, ZR, Z Ultra (3G), Z Ultra (LTE) or Z1 smartphone on contract with PCCW-HKT will have the usual HK$100 (US$12.90) activation fee waived “while stocks last”. Those new functions are expected to include both access control and loyalty applications, according to Gemalto. “Since our early days in pioneering contactless smartcard payment technology, we have been committed to leveraging innovative technologies to widen Octopus’ applications and provide diverse payment alternatives,” says Octopus CEO Sunny Cheung.